St. 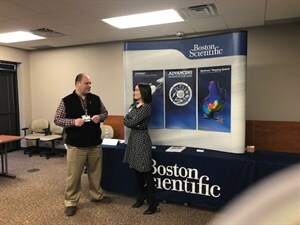 Cloud State’s School of Graduate Studies hosted a medical device job fair for students in their Applied Clinical Research, Regulatory Affairs & Services, and Medical Technology Quality programs on March 7th at their Plymouth, MN campus. 20 employers from across Medical Alley, most with prior graduates now as employees, participated in the program. 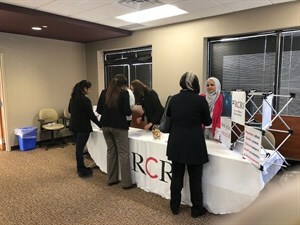 Dozens of students attended to network with the companies, learn about openings, and even interview on site. St. Cloud State pioneered specialist graduate education for the medical device industry with the creation of the Regulatory Affairs program 10 years ago. Since then, over 200 students have graduated and gone on to work in industry, the FDA, and with companies all around the world. The growth of the program has prompted schools around the country to copy their model, but none has come close to replicating St. Cloud State’s access to Medical Alley’s deep community of industry leaders. Many of these leaders teach in the programs, which gives students a practical education in the way the industry really works, rather than just a theoretical overview. To help address the community’s need for skilled workers during this time of low unemployment and market growth, St. Cloud State has expanded their programs to accommodate full-time students entering directly from an undergraduate program. This will increase the pool of ready-to-work talent in the industry, ensuring Medical Alley companies have access to the people they need to continue to grow and St. Cloud State’s graduates have easy access to great jobs upon graduation. The Medical Alley Association has been honored to partner with St. Cloud State since the program’s inception, and we are grateful to the many members that teach, advise, and mentor in the program.